Although it seems like no automaker in the world can build a top level sports car nowadays with it being a hybrid, BMW decided to start a new division that would focus on electric mobility. 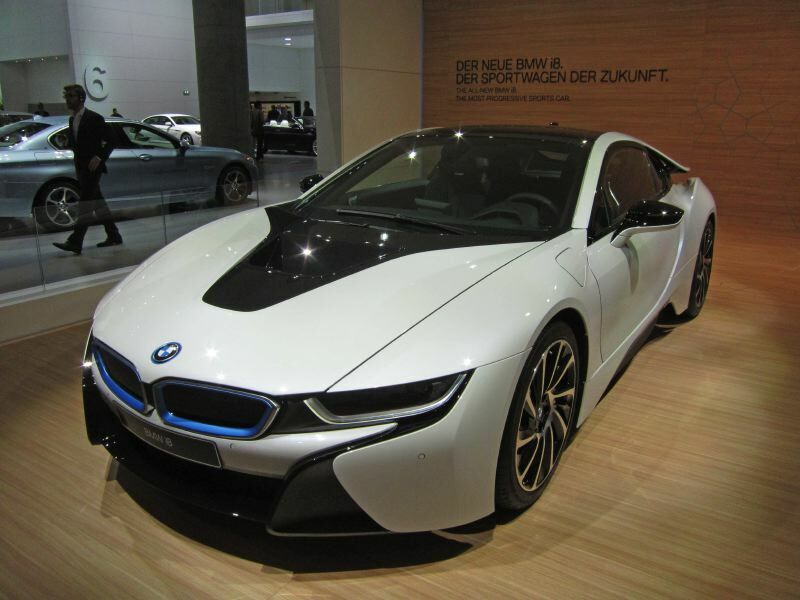 The flagship model of the “i” brand, the i8, was presented formally at the 2013 Frankfurt Motor Show. The 2+2 coupe has been teased for years including a short appearance in the Tom Cruise movie Mission Impossible. The dramatic exterior hints at cutting edge technology under its carbon fibre and aluminum skin. The i8 is powered by a 1.5L three cylinder engine producing 231HP powering the rear wheels. The front wheels are motivated by 96kW electric motor powered by a centrally mounted lithium ion battery. Translated to common figures, the i8 reportedly combines to produce 362HP and 320 lb-ft of torque. BMW has provided performance figures showing the i8 runs up to 100 kms/hr in 4.4 seconds and has a limited top speed of 250 kms/hr. 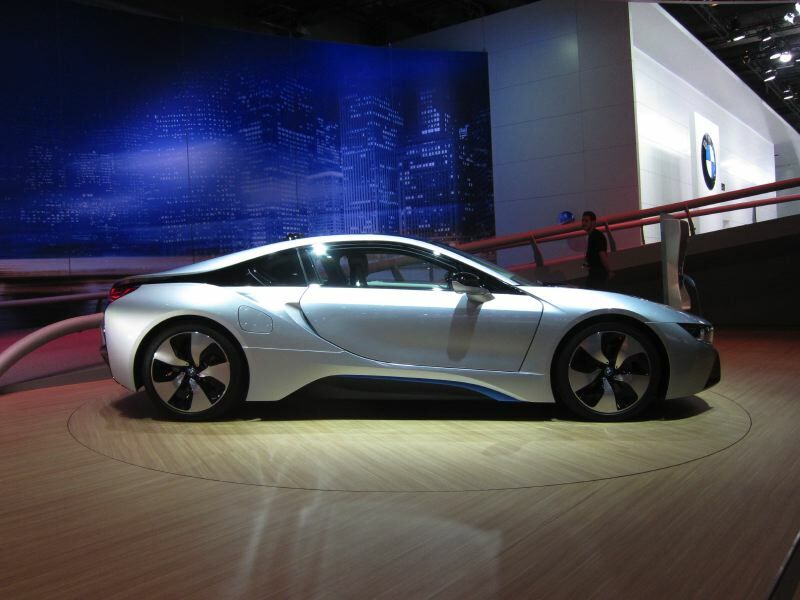 The i8 has been designed as a rapid charging plugin hybrid. The standard charging from a 110 volt outlet will charge the battery in under four hours. An optional rapid charging station will cut the time for a full charge to 1.5 hours. BMW estimates fuel consumption in in the realm of 2.5L/100 kms. The i8 will retail at $135,700 when it goes on sale in the US in the spring of 2014 as a 2015 model. We have not yet confirmed the Canadian retail price.